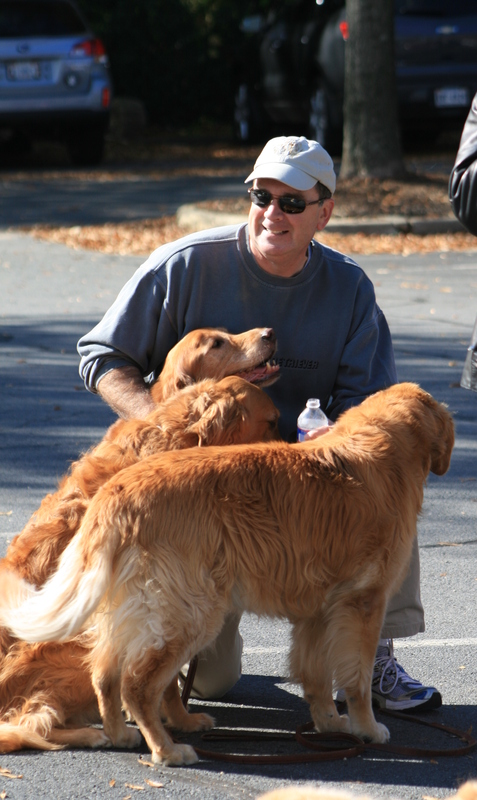 Join other dog owners for a pleasant stroll through trails and a residential community for the Golden Retriever Rescue Education and Training (GRREAT) 3K Walk on Saturday, Oct. 29. The walk begins and ends at Weber’s Pet Supermarket at 11021 Lee Highway in Fairfax, Va. 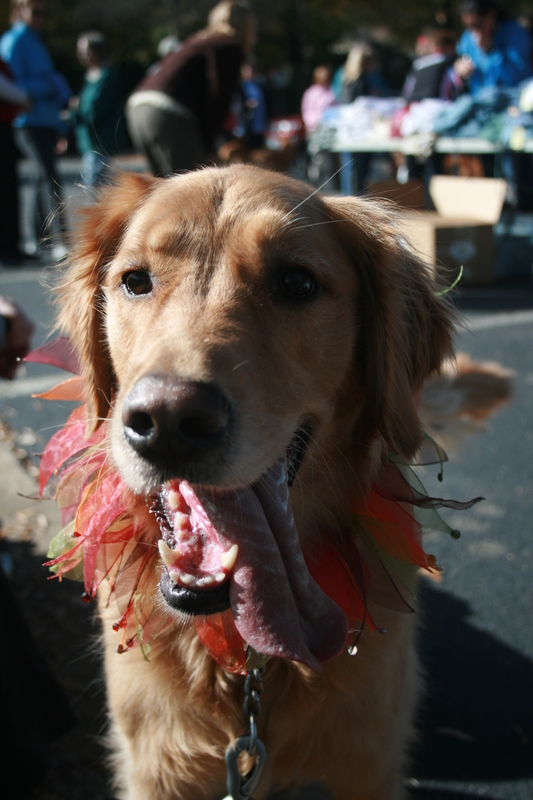 This Golden wore festive fall attire for the 2010 GRREAT Walk. Registration begins at 9:30 and the walk begins at 10:00 a.m. Cost is $15 through Oct. 12, $20 after. 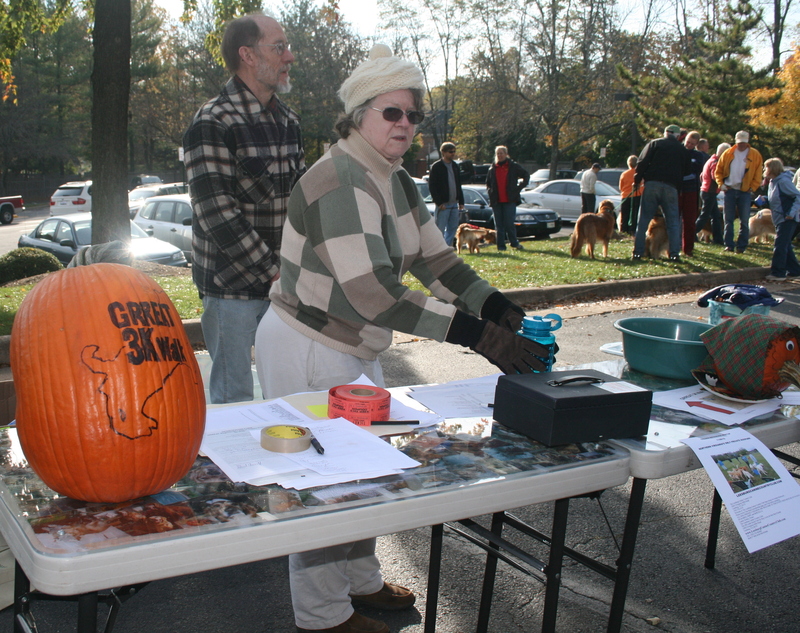 Each walker receives a t-shirt, and door prizes will be given out after the walk. 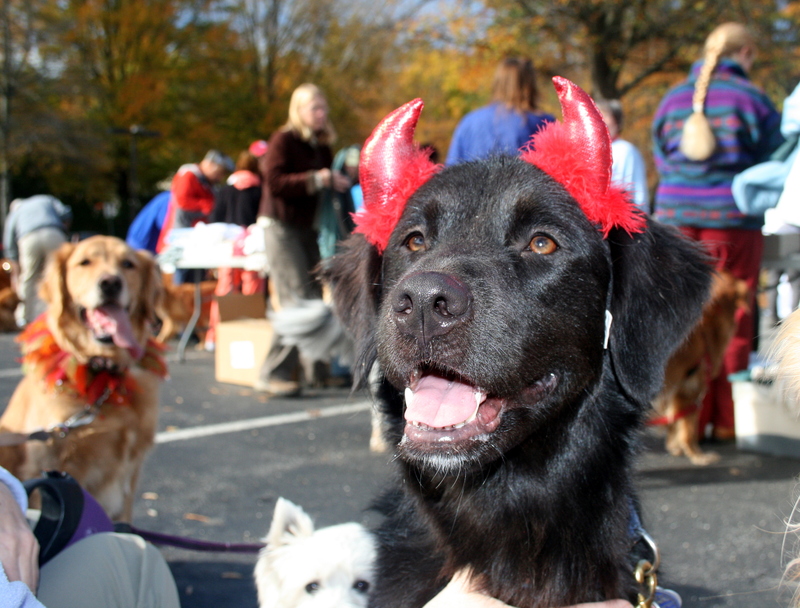 The GRREAT store will be on hand selling dog-themed gifts and dog toys, so you can start your holiday shopping early! 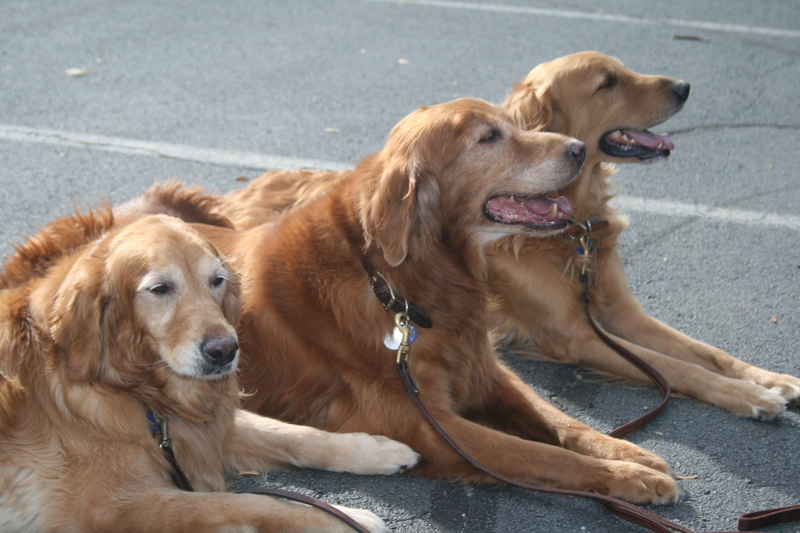 These Goldens chilled out after walking in 2010. GRREAT is asking that participants bring a non-perishable food item to be donated to Food for Others. 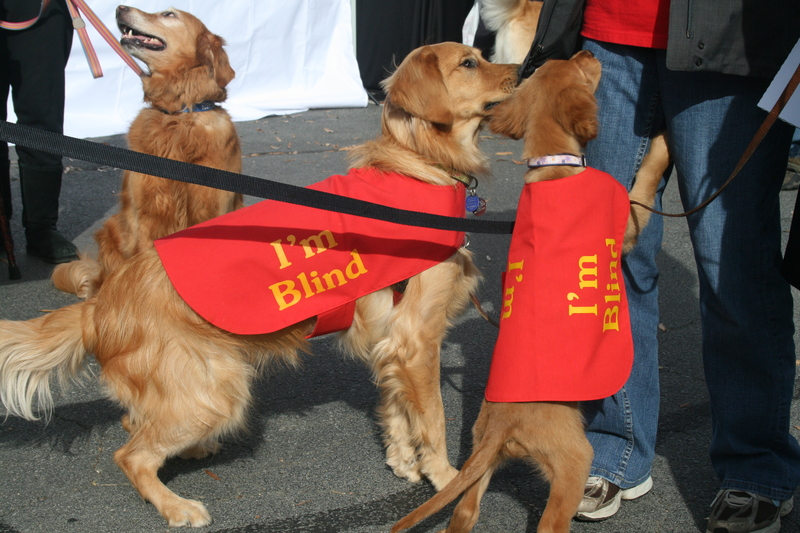 These blind Goldens got a lot of attention, and treats.